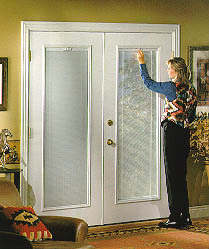 All of our Entry Doors and Sidelites are custom-built to the exact specifications of your home. Your preference of style, color and hardware are matched to your home's own attractive decor. Armaclad's time-proven thermal protection system saves you on heating and cooling. The insulating core provides maximum energy efficiency and noise reduction. Let the beauty of nature into your home. These doors combine quality workmanship with fashionable design to create an entrance door with superior performance in security, durability and energy efficiency. 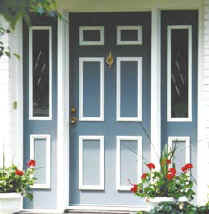 Our Entry Doors are made using a 5-ply construction process with an exterior of maintenance-free steel. From the heavy-duty, insulating core to the resilient, pre-finished, steel skin, our Entry Doors and Sidelites are built tough and to exact specifications so you're assured of a weather-tight fit. 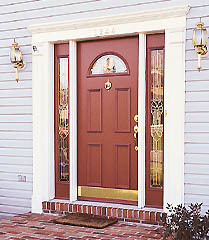 Entry Doors and Sidelites have been designed with minimum maintenance in mind, for beauty and value that lasts. 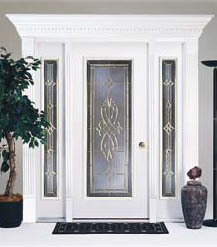 With over 200 styles to choose from, we have an Entry door design that is right for your home.